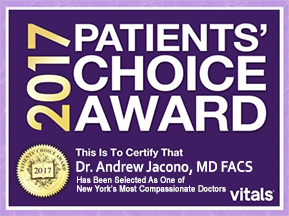 Lip lifts and lip augmentations are extremely popular procedures that Dr. Andrew Jacono performs in both of his New York locations. Lip lifts are a great way add volume to lips where there was none to begin with and to restore fullness to lips that have thinned with age. 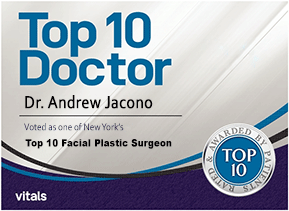 Dr. Andrew Jacono is a Fellowship Trained Dual Board Certified Facial Plastic Surgeon who specializes in facial rejuvenation procedures. He lectures around the globe on the techniques he has pioneered and considered to be one of the top facial surgeons in the world by his patients and peers alike. What is a SMAS Lip Augmentation? There are many ways that Dr. Jacono can produce fuller lips for his patients using both surgical and non-surgical techniques. One of the types the he performs is called a SMAS Lip Augmentation and is usually done on patients who are also having a facelift procedure. The term SMAS is an acronym which stands for superficial musculo-aponeurotic system which is an area of musculature of the face. This facial muscle structure extends from the platysma, which are muscle fibers from the collarbone to the jaw, to the galea aponeurotica, which is a dense fibrous tissue that covers the upper portion of the skull. The SMAS lip lift is usually done in conjunction with a facelift procedure. The reason for this is that the muscle tissue needs to be harvested and the best time to do this is during a rhytidectomy (facelift) procedure. Dr. Jacono will carefully extract the long fibrous tissue in one piece so that he can tailor for use during the lip augmentation portion of the procedure. Once the tissue has been harvested, Dr. Jacono will make a small incision on each corner of the mouth which will create a virtually invisible scar that is camouflaged into the natural creases of the mouth. Then he will create an intramuscular tunnel within the top and lower lips to allow for the SMAS tissue to be inserted. The tissue is trimmed to fit the lips perfectly and then carefully placed into each lip. Once Dr. Jacono has shaped each lip to the desired shape and volume, sutures are used to close the incisions. The procedures will be done under a local or twilight sedation anesthesia and should take around 3 to 3.5 hours to complete since the lip lift is combined with a facelift. The recovery period following a SAMS lip Augmentation will be treated as the recovery period from a facelift since both procedure will be done at the same time. 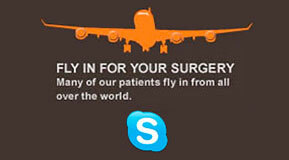 Following the procedures, patients will have a full-face bandage, and most are able to return home the same day. The bandage will need to be worn for a full day and removed the following day during the post-surgical follow-up exam with Dr. Jacono. Some bruising and swelling is to be expected and use of a cold compress can help reduce the swelling. The bruising should natural go away over the first two weeks. Dr. Jacono will remove all of the sutures by the end of the first week and by week three, most patients are able to return back to normal activities including work, however extraneous activities including working out should still be avoided for a few more weeks. Candidates for a SMAS lip Augmentation include men and women who are above the age of forty, in good general health, and looking for full facial rejuvenation to include a face and lip lift. The best way to determine if you are a good candidate for this lip lifting procedure is to schedule a consultation with Dr. Jacono. During your consult with him, he will be able to determine what surgical or non-surgical procedures are best suited to meet your cosmetic goals. To learn more about the SMAS lip lift, or to schedule your in-person consultation with New York’s top facial surgeon Dr. Jacono, please fill out our complimentary online consultation form. If you would prefer to speak to a patient care specialist directly, feel free to call our Long Island office at 516-773-4646, or call our New York City location at 212-570-2500 to schedule your appointment today.